Taiwanese actor Eddie Peng recently graced the cover of Men’s Health, coinciding with the release of his sports movie, To The Fore (破风), which opens in theaters on August 7. Directed by Dante Lam, To The Fore (which we will refrain from referring to as “Breaking Wind,” which the title can literally translate to) is set in the world of competitive cycling. Newbie bikers Wang Chouming (Eddie Peng) and Qiu Tian (Shawn Dou) find themselves wowed by the talented Korean cyclist Zheng Zhiyuan (Choi Siwon) and agree to sign on as his pacesetters (破风手). Although the three of them form a perfect team, Wang Chouming and Qiu Tian soon discover that no matter how many races they win together, only Zheng Zhiyuan will be recognized as the official winner. As each of them becomes caught up in their pursuit of victory, they lose their solidarity and their achievements go plummeting. Will their team spirit ever return? 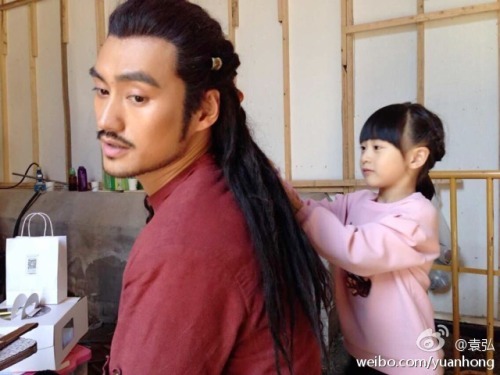 To The Fore features appearances from Wang Luodan and Carlos Chan. Interestingly, its August 7 release is the exact same release date as that of Shawn Dou’s other movie, Time to Love (新步步惊心). Check out a teaser trailer below, as well as the rest of Eddie’s Men’s Health photoshoot. 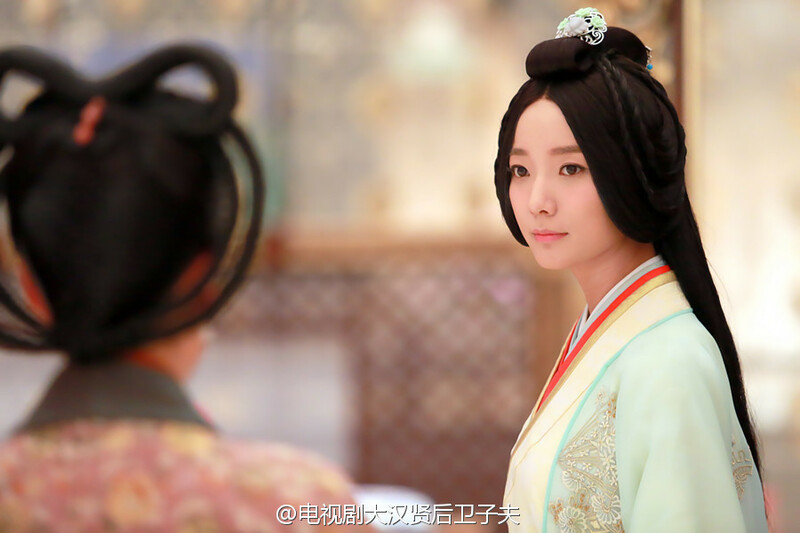 Loving the way the mint flowers on her hair ornament match her outer garment here. (The Virtuous Queen of Han) Wei Zifu finally announced a release date for the series on Weibo, promising an online broadcast on August 20th – just in time for jjss08 to creep out and freak out impress her new roommate with her adoration for Liu Bingyi’s grandma! the gorgeous Wei siblings. Though this might be more reflective of how much time jjss08 has spent admiring the costumes, than how well hair decorations match the clothing in less eye-candy filled productions. More stills below the cut! 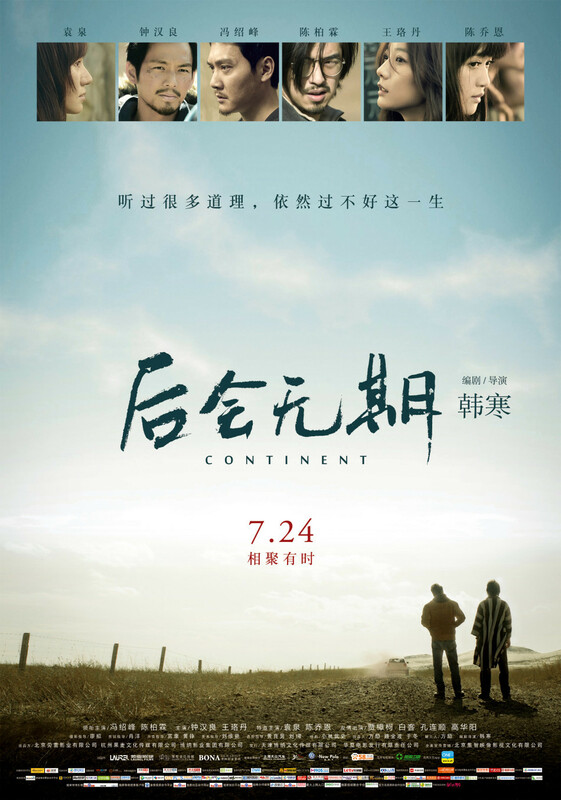 Author and now director Han Han’s new movie, Continent 后会无期 （”We Won’t Meet Again”) will be hitting theaters on July 24. This is another coming-of-age story that Han Han is adapting from one of his own works, featuring Feng Shaofeng, Wang Luodan, Chen Bolin, Joe Chen, Wallace Chung, and Yuan Quan in its central cast (not bad!) They play a set of childhood friends, who have all grown up together on the east side and now set off for a somewhat reckless journey. 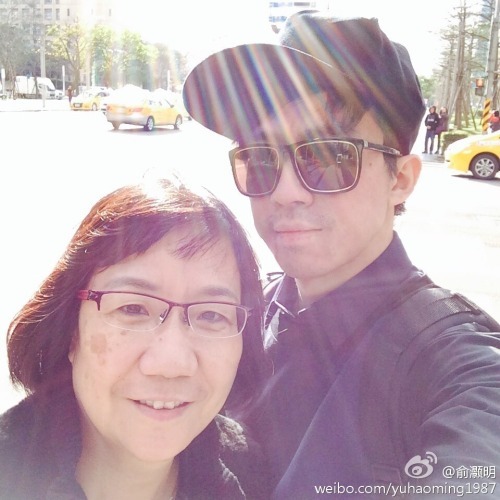 Han Han recently released the theme song on Weibo, titled “Song of Dongji Island.” I’ve posted the video below, if you want a sneak peek at some scenes from the film, but be warned – it sounds more like the Marseillaise than a theme song for a movie! (The Dongji islands on the very easternmost border of mainland China). 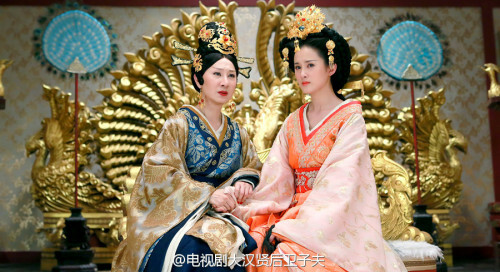 Princess Guantao and Empress Chen Jiao discuss where they can add another phoenix to the palace decorations. I noticed we had a lack of gorgeous stills for upcoming Hong Kong-Mainland co-production Virtuous Queen of Han, starring Raymond Lam, Wang Luodan, Jones Xu Zhengxi, etc., so I decided to fill that gap. Not a Photoshoot Friday, but there was none last week – have this one as a make-up! Zhou Xun looks closer to twenty than forty (but definitely not naively girlish), as she poses with huge flowers; meanwhile, Gao Yuanyuan’s red lipstick is the only spot of color in a photoshoot of austere black and white (like a blossom in winter?) Wang Luodan can’t wait for the real flowers to open, and has opted for a giant collection of colorful paper ones instead. Zhao Wei’s shoot for Elle doesn’t have actual flowers, but the soft appearance of fresher, brighter colors in a scene of whites and grays gives her pictures a semblance of spring. Tong Liya and Kitty Zhang Yuqi are completely ready for spring – the former is surrounded by pink flowers, the latter covered with them. Xu Qing wears them as earrings (so does Eva Huang Shenyi, if you look hard enough), while Liu Shishi and Wang Luodan both deck themselves with lacy flower patterns. 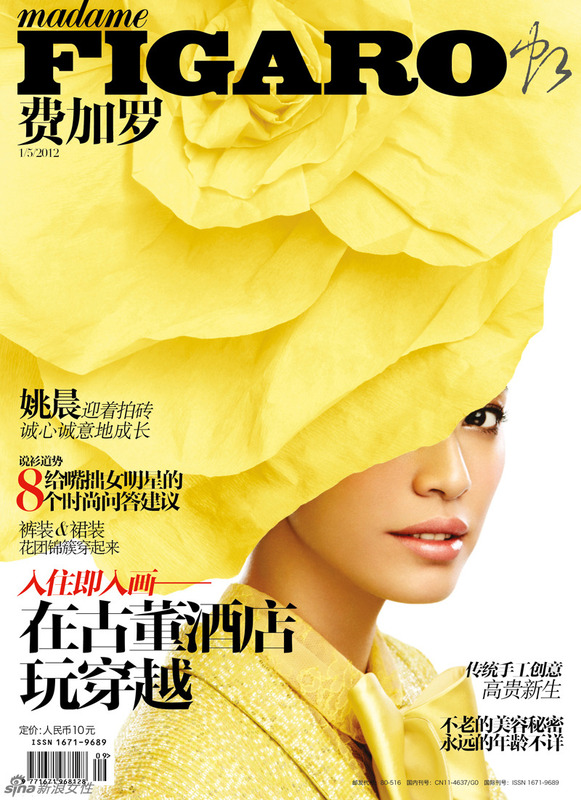 I’m going to pass Zhang Ziyi’s black plumes off as leafy ferns.